I really miss the hunting in Colorado, but the fishing in Michigan is unreal. 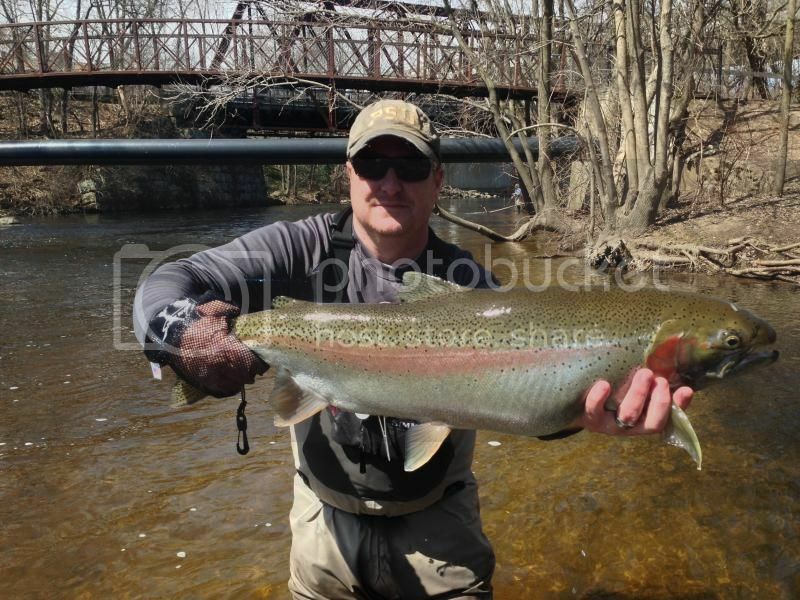 Here are a few steelhead that I got this year. Atta boy Paul, very nice fish dude! Great photo's Paul. One of those fish in a season would be a great year. X 3 good job. What river were you on? 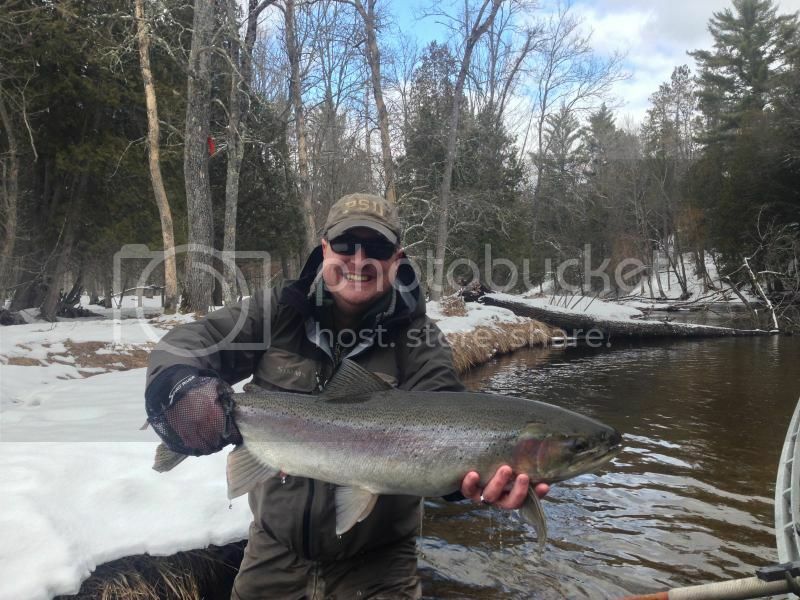 When I lived Up North I fished the Au Sable exclusively. Couple miles below Foote Dam is terrific! Can be pretty good at the Dam too. Damn SON! Hella nice job. Those are all lifetime fish. I spent the last few days in Aspen in a sweet house on the Fork, I was gonna post a pic of a few of the fish I caught, but nevermind. Are those wild? Don't see a notch in the dorsal? The first pic is the Pere Marquette in March. Actually did a float trip with a friend from Colorado. Second and third are on the Rogue. Only got out twice in the spring as it seemed like winter was ever going to leave, once in March on the PM and once in April on the Rogue. Every fish I hooked and landed this spring was on stoneflies. The fall run, salmon anyways, was really weird. Things were really late and not many fish. 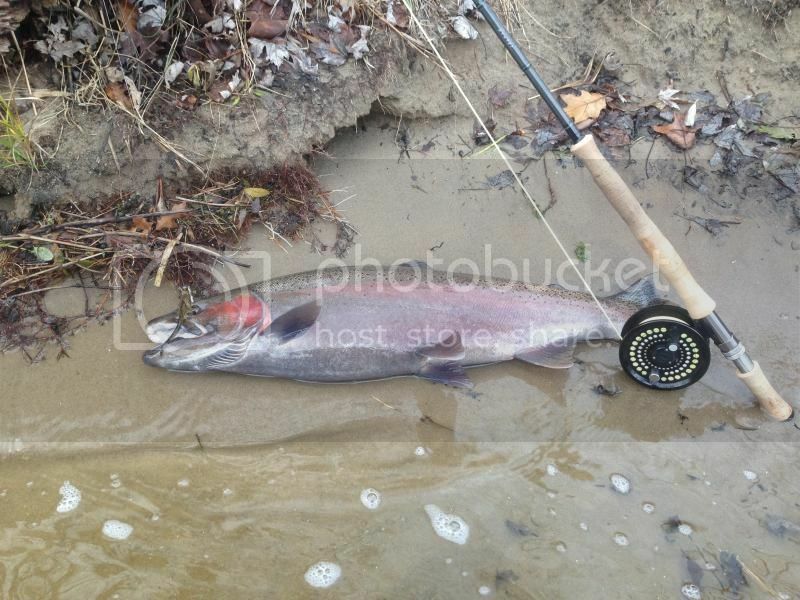 Floated the Muskegon on the 10th and landed a few dirty salmon, but no steelies. Then wade fished the Rogue on the 12th and landed the fish in the bottom pick and had another on. 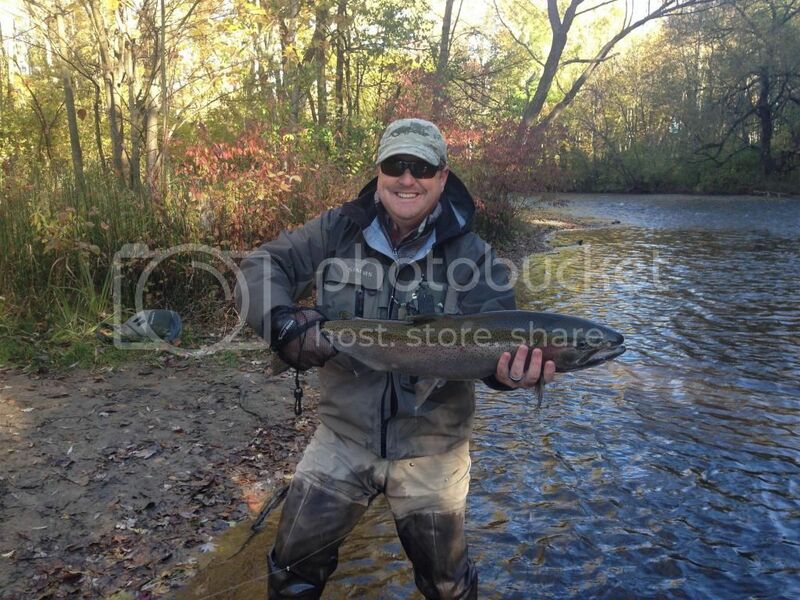 Here is one I took swinging a tube fly with a two hand rod last fall, my new sickness. Chances are the fish I got on the Rogue are planters, but without a clipped fin it's hard to tell. All the fish in the PM are wild, no stocking at all. 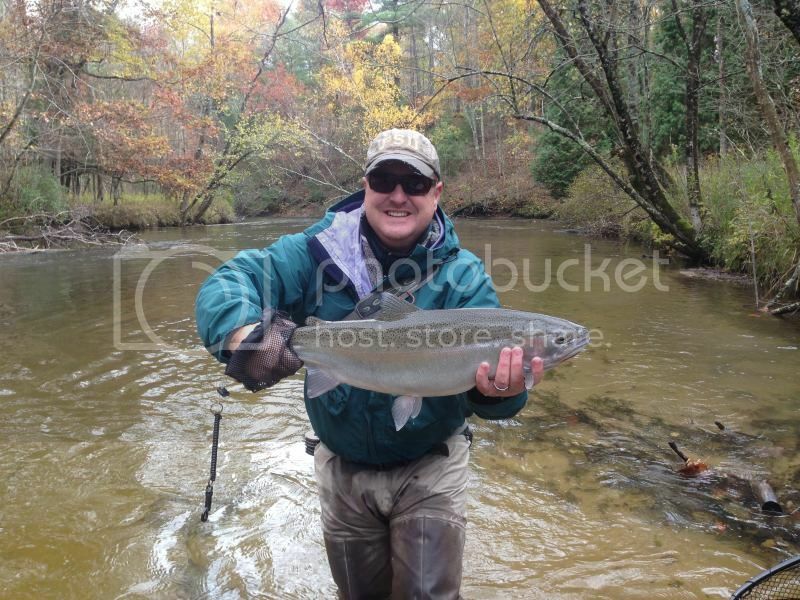 Here is a nice chrome fish from last fall on the PM. If your fish had all their fins they were wild hatched.